When you think of the Dominican Republic and the Caribbean, probably the first thing that comes to mind is heavenly beaches with white sand, turquoise water and lots of sunshine. As this amazing island offers dozens or even hundreds of beautiful and picturesque beaches, we asked our team of dedicated travel experts to name their favorite ones. 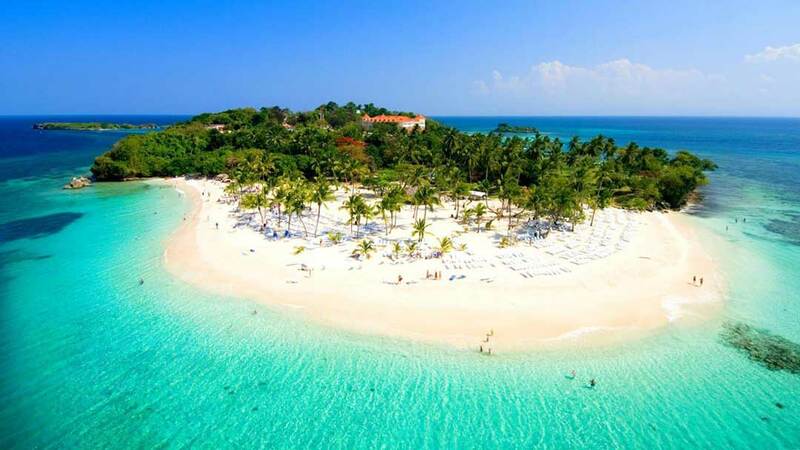 Some of them can be included in nearly every itinerary, and those who have three weeks to spend here on vacation can explore all of the 10 most beautiful beaches in the Dominican Republic. 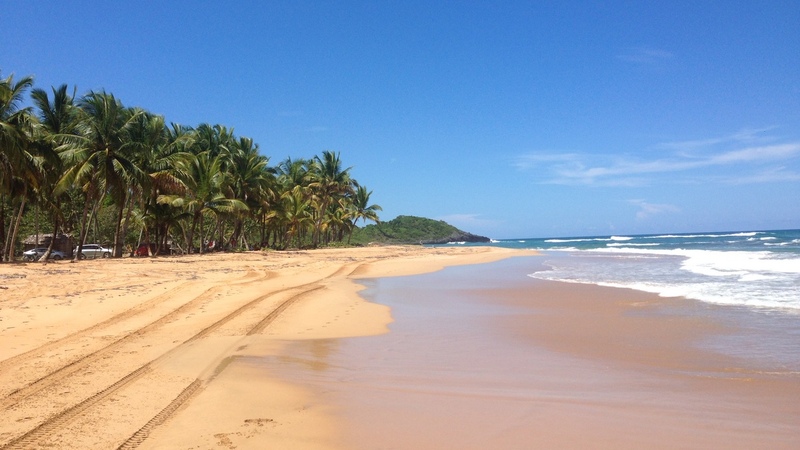 The endlessly long and pristine beach of Playa Rincón is not only one of DOMINICAN EXPERT´s favorites, but has also been rated as one of the top 10 beaches in the world by the prestigious travel-magazine Condé Nast Traveler. Despite its picture-perfect setting, you will find very few people there. It is located on the tropical, green Samaná peninsula close to the pretty fishing village of Las Galeras. At the end of two mile long Playa Rincón, you will arrive at Caño Frio, a beautiful freshwater river that flows into the ocean. Why we love the Playa Rincón Beach: a nearly endless beach in a picture-perfect setting with dozens of different photo opportunities. How to get there: You can reach Playa Rincón within 30 minutes driving from Las Galeras – either by rental car or private transfer. DOMINICAN EXPERT has designed an exclusive river tubing tour that is beautifully suitable for small groups. Float down the crystal clear river through tropical vegetation and mangroves and end up at the beautiful Playa Rincón beach, where the river flows into the sea. You can treat yourself to a fresh coconut or let us organize a private barbecue for your group at the beach. Contact us for more information! The small tropical island of Cayo Levantado is located just off the Samaná coast. It is also known as “Bacardi Island”, as its palms resemble those from the famous Bacardi rum advertising. It is perfect for swimming or just to have a cool drink and enjoy the white, heavenly beach and turquoise water. If you want to stay overnight, you can treat yourself to the only hotel on the island, the Luxury Bahía Principe Cayo Levantado. Its all-inclusive facilities will pamper you and make all your wishes come true. From January to March you can see the amazing migration of humpback whales as they breed and give birth in Samaná Bay directly from Cayo Levantado. Why we love the beach of Cayo Levantado: If you are looking for the Caribbean stereotype of a stunning paradisiacal island: here we go! How to get there: Cayo Levantado is located in the Bay of Samaná. From the port of Santa Barbara de Samaná small public boats leave every hour or so to ferry over to the island. Alternatively you can charter a private boat. Either way the travel time is around 15 minutes. In the southwest of the Dominican Republic you will find the breathtaking Bahía de las Águilas (“Eagle Bay”), probably one of the country’s best kept secrets. This beach possibly has the most stunningly beautiful turquoise water you will find in the Caribbean and is totally isolated in the Jaragua National Park. The bay can be reached either by speed boat or 4x4 vehicle, offering amazing views of the more than three mile long beach. You will hardly ever have to share it with other visitors due to the remoteness of Bahía de las Águilas. Why we love the beach of Bahía de las Águilas: You have to come and see for yourself to understand what a miracle of nature is waiting for you here. How to get there: You need a rental car or a private transfer to get to Bahía de las Águilas. It is about 2.5 hours from Barahona and 6 hours from Santo Domingo. From the restaurant “La Cueva” in Cabo Rojo, you can take a speedboat to get to the bay, which takes about 10-15 minutes. It is also reachable by car, but you will need an SUV since the road is unpaved. If you would like to explore this stunning beach and diverse region, check out our excursion “Unknown Southwest”. Contact us for more information, we would love to take you there. Isla Saona is a small tropical island located off the coast of La Romana. Many day tours will take you there by Catamaran and bring you back by speed boat. Thanks to its paradisiacal beaches, Isla Saona has been used many times by film-makers and advertisers who were looking for a “desert island” setting. Another highlight is the natural swimming pool just off Isla Saona, located in the Parque Nacional del Este, where you can enjoy the waist-high warm water and grab a cold drink. Why we love Isla Saona: Nature-made turquoise swimming pools and pristine beaches fulfill the Caribbean dream. How to get there: The Isla Saona can only be reached by boat. You will find many vendors selling half or full day tours that will take you to the island by Catamaran and bring you back by speedboat. 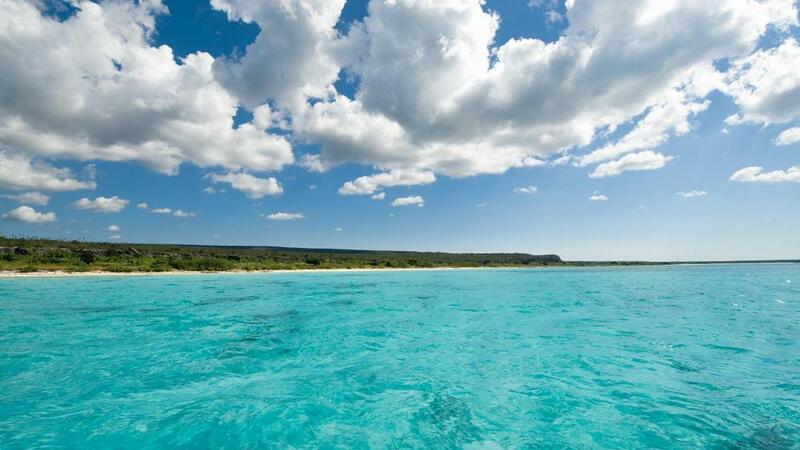 The main starting points of the excursions are Bayahibe or La Romana in Punta Cana and Santo Domingo. Bávaro Beach is a beautiful palm-lined beach, very wide and featuring beautiful turquoise water. It is located in the major tourist destination of Punta Cana and features many of the all-inclusive resorts. On the beach, which is one of the longest and widest in the Dominican Republic, you will find a lot of nice bars to hang out at and enjoy a cool Dominican beer. How to get there: The Beach of Bávaro is only a short drive of about 30 minutes from the international airport of Punta Cana. You can either rent a car or book a private transfer to get there. However, you will probably just choose to stay here in an all-inclusive resort and enjoy Bávaro Beach all day long. 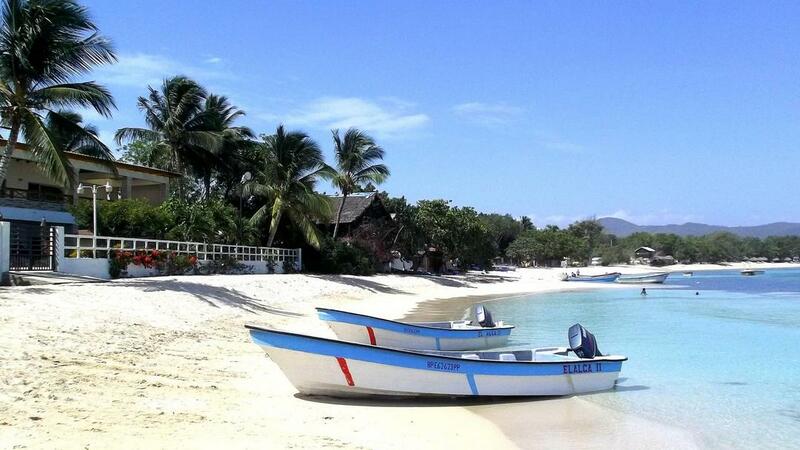 Punta Rucia is a small fishing village in the north of the Dominican Republic where it seems that time has stopped. If you sit there on the half-moon shaped bay with your feet in the sand and the sounds of the nearest Merengue bar in your ears, you will feel the true Caribbean spirit. It is also widely believed that the most beautiful sunsets of the Dominican Republic are found here. 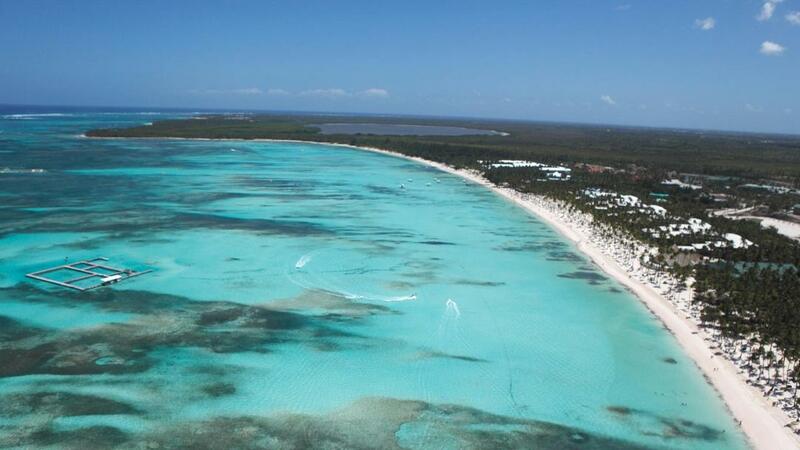 Off the coast of Punta Rucia, in the middle of the ocean, there is a breathtaking sandbar-island called Cayo Arena that can only be reached by boat. The route takes you through the adjacent mangrove forests, a delightful trip through nature. Thanks to its submerged reefs, Cayo Arena is perfect for snorkeling and you will find abundant colorful tropical fish of all varieties. How to get there: The beach Punta Rucia can be reached within 1.5 hours driving from Puerto Plata, either by rental car or private transfer. In Punta Rucia you will find many boats that will take you to Cayo Arena, which is only a 15 minutes ride. We recommend that you to go early in the morning, in order to avoid groups of mass tourism. Playa Frontón – the Robinson-Crusoe-beach par excellence. This pristine and picture-perfect beach can only be reached by boat or on foot. You will pass the “Boca del Diablo” (The Devil´s Mouth), a spectacular rock crevice where water and air are pushed into the fissures and rise with a hissing, thunderous sound that resembles of the devil. Playa Frontón itself features a beach rich with coconut trees, some small (usually abandoned) bamboo shacks, an impressive, high-rising rock wall and a very good reef for some pleasant snorkeling. Why we love the beach of Playa Frontón: If you want to feel like Robinson Crusoe and get some of the most picturesque photos of the Dominican Republic – then this is your beach! How to get there: Playa Frontón is accessible only on foot or by boat. You will find many fishing boats in Las Galeras that will take you there for 800-2500 Pesos per person, depending on how many persons. On foot it is about a four mile walk from Las Galeras and 2 miles from Boca del Diablo. 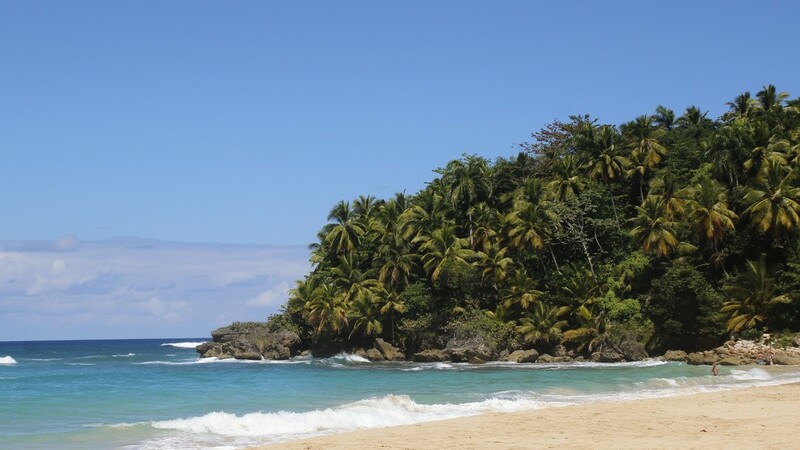 We recommend that you to stay at Samaná Ocean View Eco Lodge. From there you can reach Playa Fronton on foot and also watch humpback whales directly from the Lodge. Its infinity pool, the tropical garden with 14 cottages and the breathtaking ocean view make this place perfect for groups and incentive travel or weddings. Contact us for more information! The most beautiful beach in Las Terrenas is definitely Playa Cosón. This is an Atlantic palm-lined beach that you will most likely have all to yourself. If you like long walks in a stunning natural setting, this four mile long beach allows you to stroll in one of the best sceneries the Samaná peninsula has to offer. Playa Cosón is also home to many luxury beachfront villas with tropical gardens that are a dream setting for destination weddings, group travel and incentives. Why we love the beach of Playa Cosón: four miles of pristine beach with millions of palm trees and spectacular scenery. How to get there: Playa Cosón can be reached by rental car or private transfer. It takes about 15 minutes to get there from Las Terrenas. If you are dreaming of a destination wedding in a luxury villa at the beach, this is the perfect place. We have organized many wedding ceremonies, receptions and other events here and have plenty of options to make your Caribbean dream come true. Contact us for more information about our villas. The North Coast is a famous spot for surfing in the Dominican Republic, but this does not at all affect its beauty. Playa Grande features golden sand and crystal clear blue water. The beach merges beautifully into the national park of Cabo Frances Viejo, a jungle preserve, where surrounding cliffs drop into the ocean. At Playa Grande there are some vendor huts where a cold Presidente beer and fresh seafood can be purchased; the Lobster dishes are very famous. Surfboards are also available for rent. How to get there: Rental car is the best way to get around in this area. Playa Grande fits in perfectly with a self-drive tour along the North Coast of the Dominican Republic. Cabrera is approximately 12 miles away, Rio San Juan less than 4 miles, Puerto Plata 75 miles and Cabarete 34 miles away. 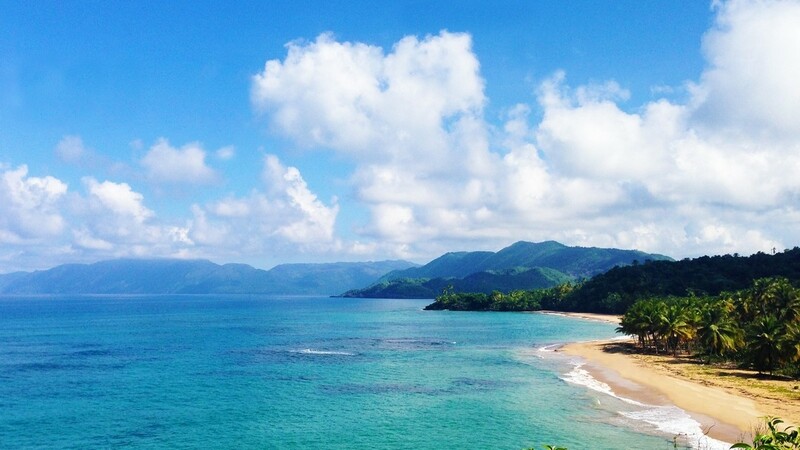 The international airports of Samaná and Puerto Plata are both about a 1.5 hour drive. 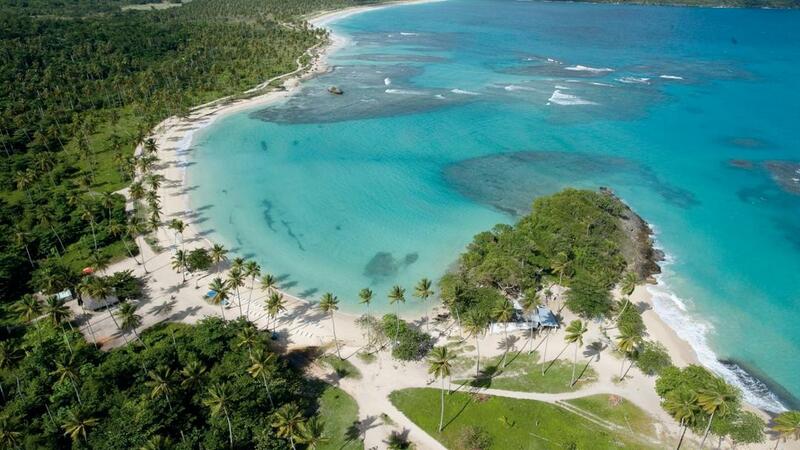 From Santo Domingo, Playa Grande can be reached within 2.5 hours by car. 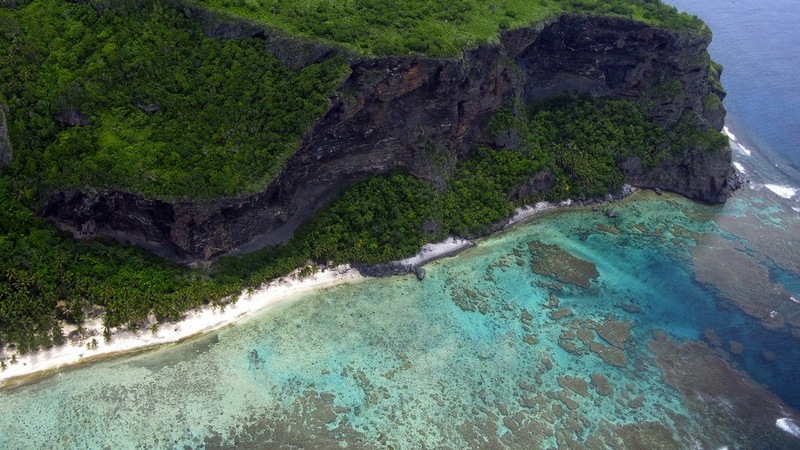 Lanza del Norte is the ultimate insider tip by DOMINICAN EXPERT. It is a true paradise embedded in tropical vegetation and palm trees off the beaten track. This secluded beach is definitely a hidden gem in the Dominican Republic and a very picturesque place which is absolutely uninhabited. If you were ever dreaming of being alone on a stunning, natural and pristine beach, Lanza del Norte is your place to be. Since most people will come from El Limon and take the road to Playa Moron, we recommend that you follow the unpaved road down until you get to Lanza del Norte, it will be worth it! There will literally be no one else around. Why we love the beach of Lanza del Norte: If there is a definition for a pristine and beautiful beach, Playa Lanza del Norte will meet it. 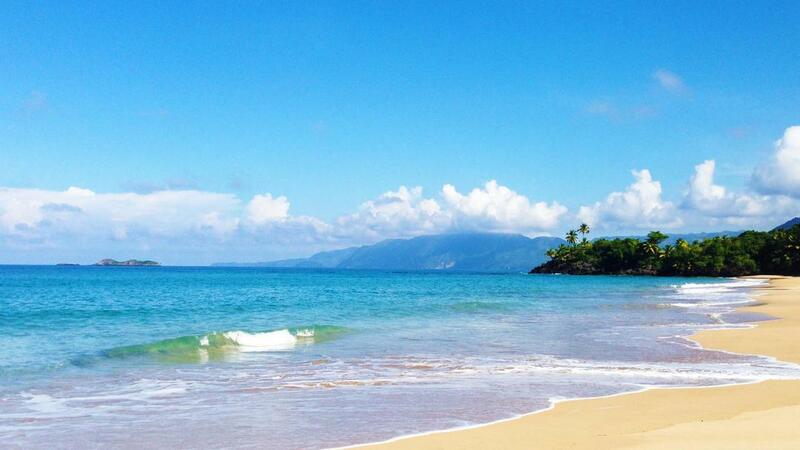 How to get there: Playa Lanza del Norte is about 40 minutes from Las Terrenas and you can reach it by car. If you are coming from El Limon, you can follow the road for Playa Moron but instead of turning left at the last crossroad, you just follow the unpaved road until the very end and you will arrive at Lanza del Norte. 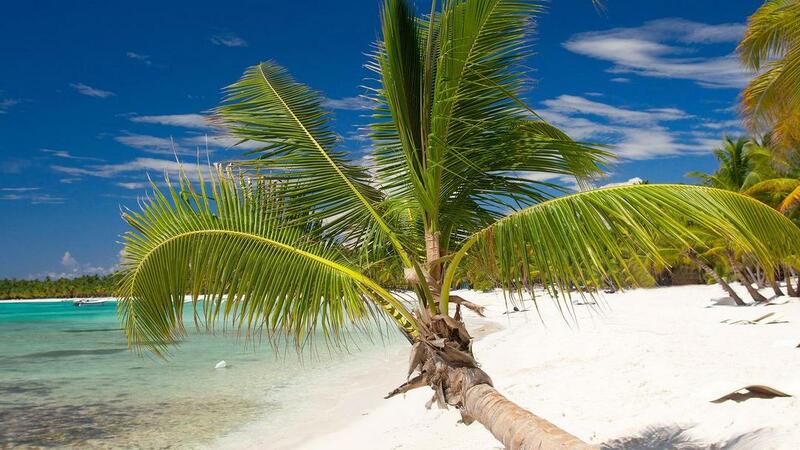 You want to explore some or even all of the top 10 beaches of the Dominican Republic? Ask us for your personalized itinerary and get to know the best places of the Caribbean! Use our contact form and let us know your wishes!